I don’t know much about A. Sachs, save for this one, memorable quotation attributed to the man: “Death is more universal than life; everyone dies but not everyone lives”. Indeed, the percentage of people essentially living on borrowed time is carved in stone (a hundred percent) while it’s anyone guess what the percentage of people on the planet is who are ‘truly living’ – and even then everyone has their own definition as to what that constitutes. As we approach the end of 2011, at least according to the Gregorian calendar, I thought it would be good to take some time to commemorate some people who’ve passed away this year, but have lived enough to make an impact on the tech industry – and more broadly, the world – before they did. Obviously, it’s impossible to list every person in the tech industry who’s made his or her mark and passed away this year, but if you think there are glaring omissions, please let us know. What is left to be said about this brilliant innovator, this pure trailblazer, who has managed to both spark and transform entire industries during his lifetime? Not everything the man touched turned to gold, but he will long be remembered as one of the greatest inventors of our time, and then some. Jobs’s renowned attention to detail, business talents, ability to focus and relentless drive should and will serve as inspiration for many generations of entrepreneurs to come. What would all of us be doing if it weren’t for esteemed computer scientist dmr, responsible for the creation of the C programming language and co-invention of the UNIX operating system? 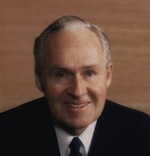 The son of the founder of Motorola, Paul Galvin, Robert William “Bob” Galvin served as the visionary CEO of the company from 1959 to 1986. Under Galvin, Motorola essentially led the creation of the global cellular telephone industry. Under his guidance, Motorola also became a global leader in semiconductor, paging, two-way radio, space and military communication, and automotive embedded control technologies. McCarthy created the Lisp programming language and is arguably the father of modern artificial intelligence (AI), a term he coined no less. He said he came up with Lisp to create Turing machines in the limited computing environment at his disposal. 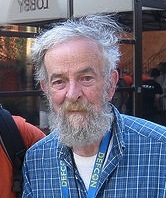 John McCarthy was an esteemed computer scientist and Stanford professor until his retirement at the end of 2000. 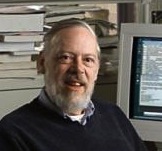 A cryptographer and computer scientist, Morris is widely considered a pioneer in computer security. Morris was a researcher at Bell Laboratories from 1960 until 1986, where he worked on Multics and later the UNIX operating system. Morris’s contributions to early versions of UNIX include the math library, the bc programming language, the program ‘crypt’, and the password encryption scheme used for user authentication. He was once quoted as saying: “The three golden rules to ensure computer security are: do not own a computer; do not power it on; and do not use it”. A Russian-American software developer, Zhitomirskiy was a co-founder and developer of the open-source social network Diaspora. He didn’t have the time to change the world like the other people mentioned in this post have, but his death, at age 22, was a big shock to the tech community at large all the same. 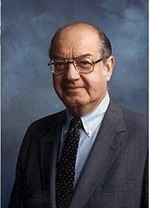 A Polish-American engineer who pioneered the development of computer networks by inventing packet switching techniques, Baran helped lay the technical groundwork for the Arpanet. 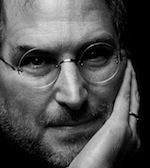 An accomplished entrepreneur, he founded several companies and developed technologies that today form an essential part of the Internet and other modern digital communication. In 1968, Baran was a founder of the Institute for the Future. He is also credited with inventing the first metal detector, a doorway gun detector. Rest in peace, all, and thanks for giving the rest of us shoulders to stand on.